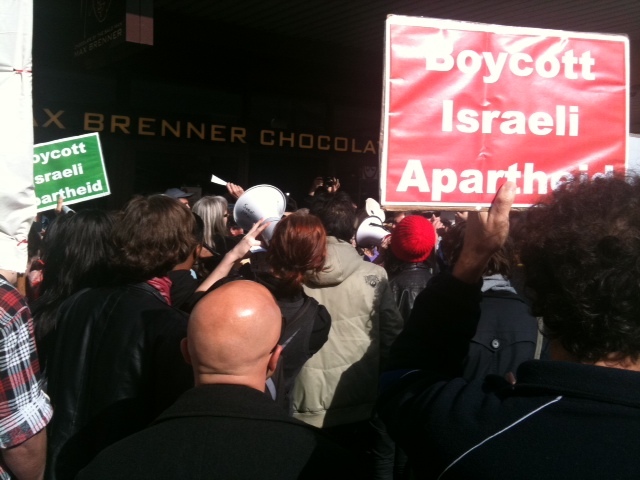 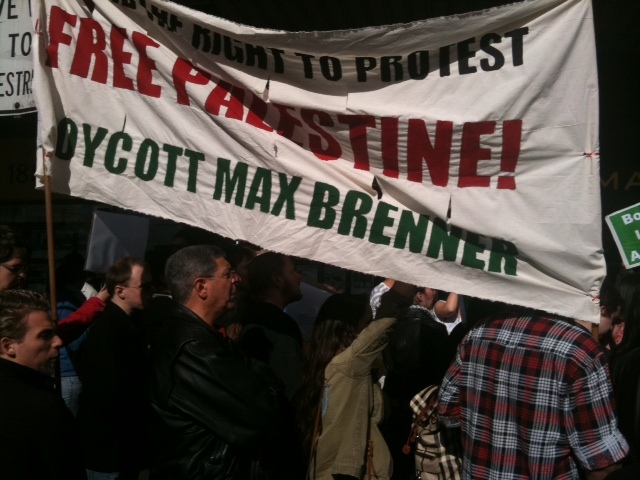 On Saturday August 20, about 100 people gathered to march and rally from Newtown Square up King Street to the Max Brenner outlet to support the BDS movement and to voice their protest against Brenner’s parent company Strauss’ ongoing support of the Israel Defense Forces in the Occupied Palestinian territories. 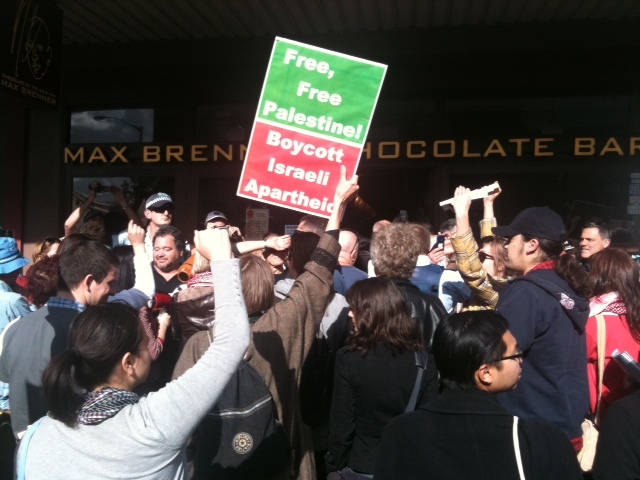 The protesters were peaceful but determined to expose the complicity of this company in the continued oppression of Palestinian people. 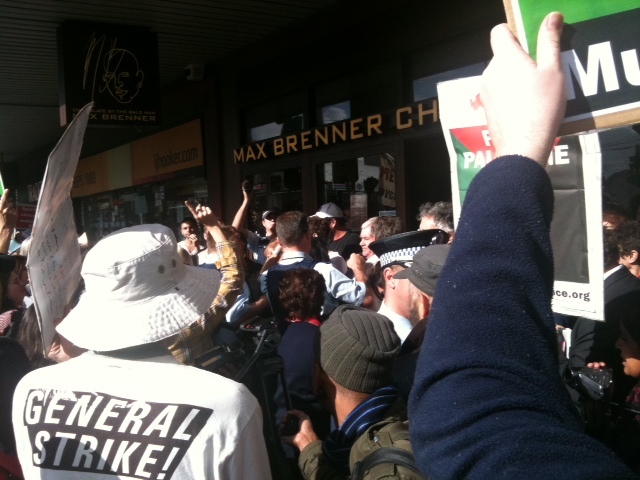 Also one of the Max Brenner 19 – a protester from Victoria who was arrested on July 1 along with 18 others for their peaceful pro-Palestinian demonstration, spoke about the violent actions of the Victorian police and the treatment of the protesters subsequent to their Max Brenner protest and arrests.